Driven by the advent of the principles of total quality, process has become the height of maturity of a collective operation, ensuring repeated performance and continuous improvement. Defined in this way, it applies to everything, including projects. But is the approach really applied to projects? And are the total quality principles really applied to projects? Methods have flourished in business, but our survey on implementation excellence reveals that while applying them improves performance, they impact against the glass ceiling of implementation: what makes the difference between a well-run project and a project that reaches or exceeds its goals? 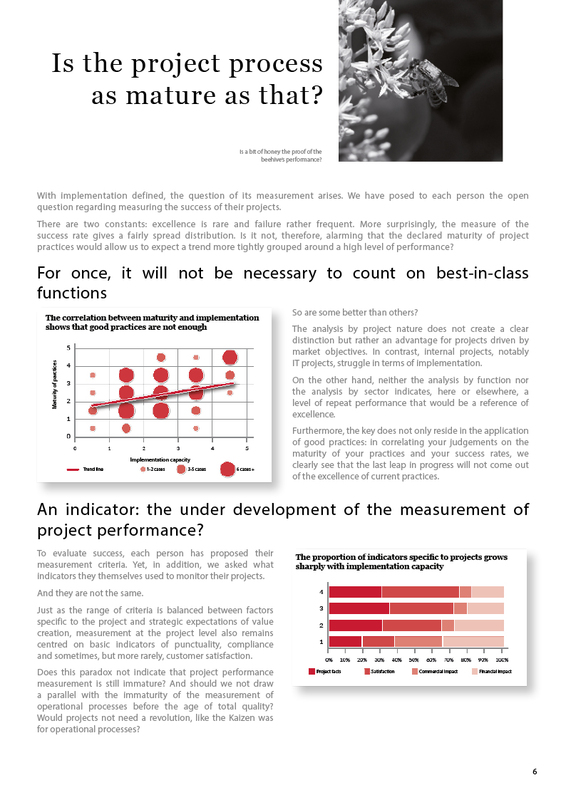 A further consideration: while measurement is key to continuous improvement, another pillar of total quality, project performance measurement, often confused with punctuality, is strangely underdeveloped. « Implementation Excellence Survey – Episode 1: Do you go the final yard in your projects?